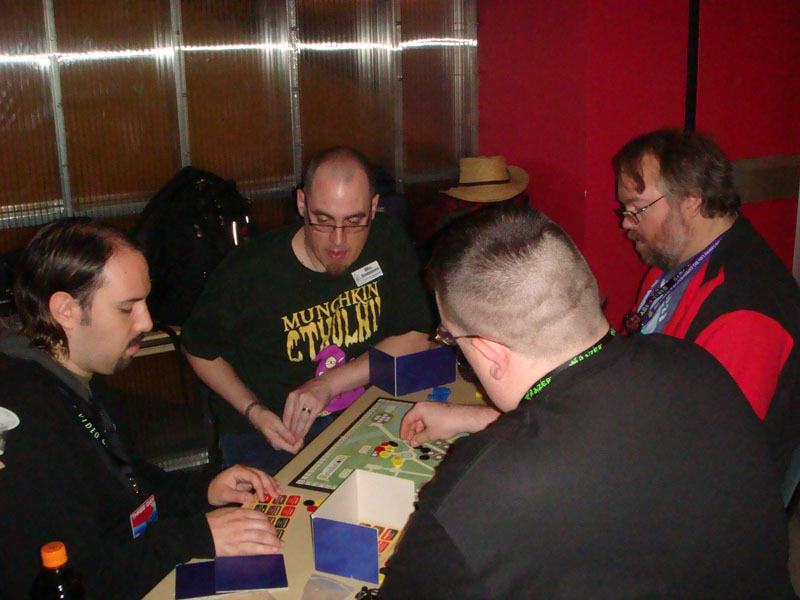 Daily Illuminator: Images From PAX: Revolution! September 10, 2008: Images From PAX: Revolution! As previously noted, a couple of lucky staffers made the trek to the Penny Arcade Expo over Labor Day weekend. Games were played, fun was had, and photos were taken. Here we see Will showing off the prototype of Revolution! We mentioned this great little abstract bidding game a couple days ago . . . well, actually we pointed you at a review of it. Right now, it looks like you'll see the game in February. Trust me, it's worth the wait.